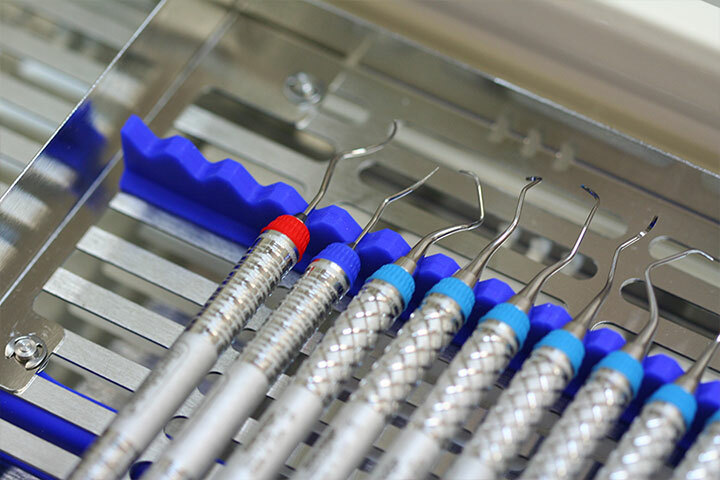 Dental implants are surrounded by bone and mucosal tissue (the equivalent of gingiva for teeth), which are still susceptible to the effects of bacterial plaque. Inflammation and infection of the peri-implant (implant-surrounding) tissues is called peri-implant disease (peri-implant mucositis and/or peri-implantitis). If left untreated, peri-implant disease will progress more deeply into the jaw bone, causing the implants to become infected, loose and eventually non-functional. Regular dental implant maintenance aims to prevent peri-implant disease in order to prolong the life of your implants. Treatments for mucositis and peri-implantitis include: good oral home care; debridement of plaque and calculus (tartar); prescription of antiseptic mouth rinses and adjunctive antibiotics; or surgical therapy for the removal of infected tissue and/or bone regeneration.